You may want to specify the email storage limit for your email accounts. Below is a step-by-step guide on how to change mailbox quota. Step 4. 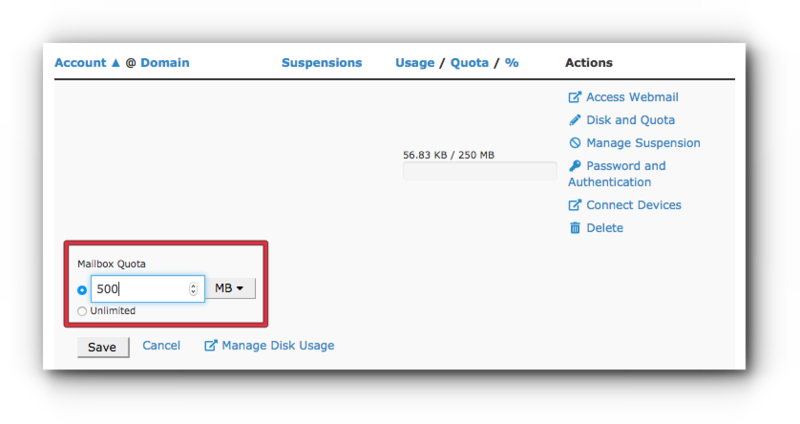 Click Disk and Quota. Step 5. Enter the desired email storage limit. 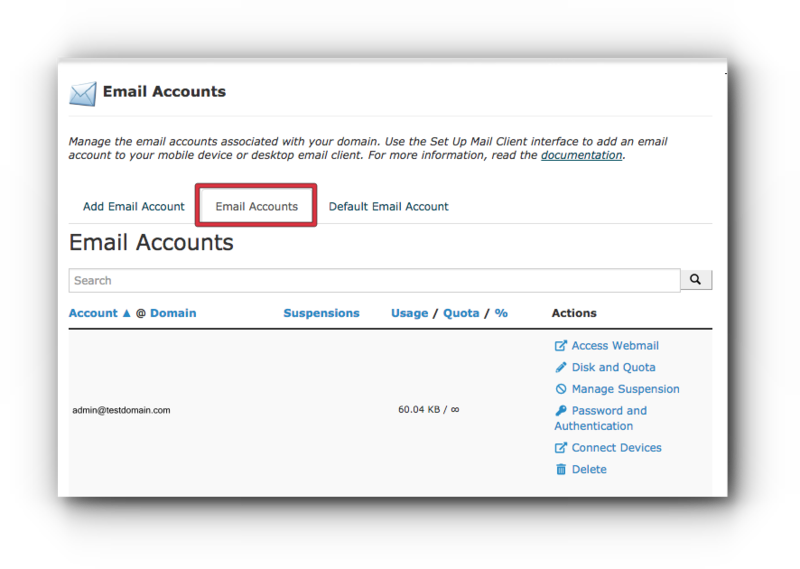 The system will automatically update the storage space of the email account.